The 2.4GHz Cateye HR-10 heart rate sensor will give you valuable physiological performance data that you can use to improve your training programme, or spot potential overtraining. Where power measures your effort through the pedals, a heart rate sensor lets you see into the impact this effort on your body. 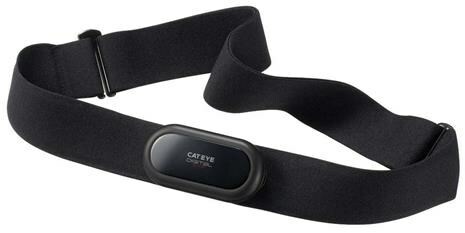 The Cateye HR-10 is compatible with Strada Digital, V3N and Q Series. The strap stays flat against your skin and doesn’t rub or chafe as you ride. Works well with my cateye strada and is easy to read and the reading updates faster than other systems I've used. Tredz where the only stockist i could find for this item and there got it quicker than i expected and kept me fully informed whilst it was on back order . excellent service and a happy customer experience.